How Much Should My Roof Repairs Cost? When a customer has a concern about their roof, often they put off making a call to a professional roofing company for an inspection because they are afraid of how much the roof repairs will cost. Procrastinating your home’s roof repairs is a mistake. First and foremost, all inspections and estimates from Broadway Roofing are free. Second, the earlier a roof leak is detected, the less expensive it will be. If a roofing problem is ignored and allowed to worsen, it could result in your home needing a complete roof replacement instead of a simple repair. The type of roof you have will be a big factor in repairs. Do you have a flat roof or a sloped roof? If it is sloped, is it a high or low pitch? How many valleys are there? Do you have a chimney or skylights? The next important factor to consider is, what type of roofing material do you have? The least expensive roofing material is asphalt shingles. If you have architectural shingles, those are slightly more expensive. Tile roofs, slate roofs, cedar shake shingles and other less common roof materials are all more expensive than asphalt. 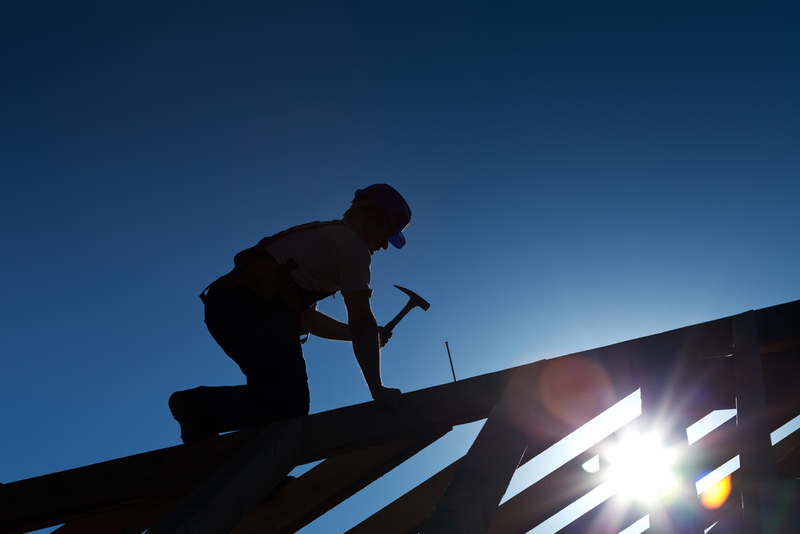 The town or city you live may have an effect on roof repairs as well. Broadway Roofing will need to pull permits for repairs in some communities. Permits vary in cost. Some cities have a flat rate permit, while others base the permit cost on the size of the home, or size of roof repair being done. The size and type of repair are the biggest factors in cost of roof repair. Broadway Roofing determines the price by square footage of the roof repair. The materials needed are generally sold by the square foot, so even if you need a 6-sq. ft. repair, you will be charged for 10 sq. ft. of materials. Any leftover materials, will be yours to keep for future needs. Sometimes, there is hidden damage. This is damage that cannot be seen until our roofer remove shingles and inspects the decking underneath. If there is water damage, additional costs will likely be incurred. Another factor of cost to be considered is any rooftop elements, for example a chimney, skylight, venting or custom roof items. These items may need to be replaced and even if they don’t need to be replaced, the roofer may need to work around them. This increases the labor costs. Flashing or roof cement around these items may be damaged and require repair as well. Lastly, if you are using homeowners insurance for repairs, remember that most homeowners have a deductible to pay before insurance payments apply. Be sure that when you get estimates for roof repair or roof replacement, you choose a roofing company with the expertise to do a thorough inspection and a quality roof repair. Broadway Roofing is that company. If you need a roof repair or replacement, contact Broadway Roofing for your free roof inspection and estimate. What Type of Roof Should I Choose for My Home? What Do I Do If My Roof is Damaged from A Storm?